This page contains real-world data sets from different application scenarios that were used to verify the soundness of the chosen scientific methods. We acknowledge that these data sets were developed/generated using funds by EU FP7 project ICT FET Harvest4D G.A. no. 323567. 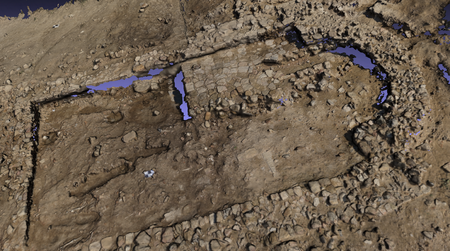 This 4D dataset of the historic Arènes de Lutèce site in Paris has been developed throughout the whole Harvest4D project duration, in regular capture sessions with the time stride of 1 year. To our knowledge, this is the first publicly available 4D data set of this magnitude, and is intended to serve as a reference for future research on spatio-temporal algorithms such as change detection. 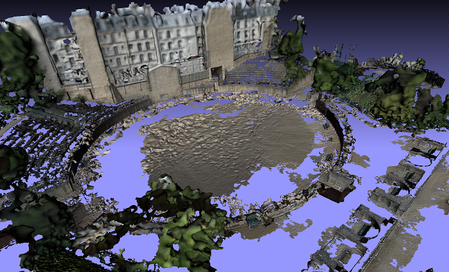 Each timestamp consists of a package of the raw input images, captured by different commodity sensors, the SfM views computed in our Multi-View-Environment (MVE) framework, the obtained dense 3D point cloud, and one or several versions of a full cleaned mesh extracted using Floating-Scale Surface Reconstruction (FSSR). In all captures, special focus has been laid on a statue residing in the arena, resulting in a high-resolution spot in the resulting mesh triangulation. This demonstrates the power of FSSR dealing with strongly varying scale in the input images, but also creates an interesting, non-homogeneous temporal data set. 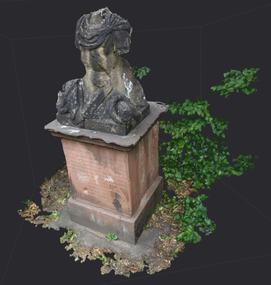 For convenience, the statue is available an individual model, and – like the full mesh – in places exists in various flavors (FSSR only, simplified, or textured). Scans of the archaeological excavation site at Santa Marta (near Grosseto, Italy), captured by Prof. Stefano Campana. It is composed of photographic drone acquisitions at two different time steps (2013 and 2014). 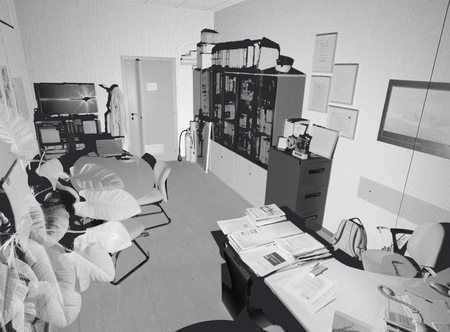 4D point cloud dataset of interior laser scans of a Office room (6 time steps, 3 scan positions). Note: The individual time steps are not registered. 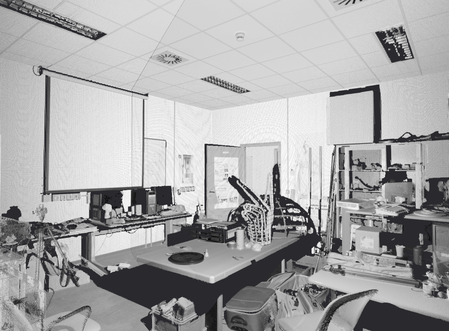 4D point cloud dataset of interior laser scans of a Lab environment (2 time steps, 3 scan positions). 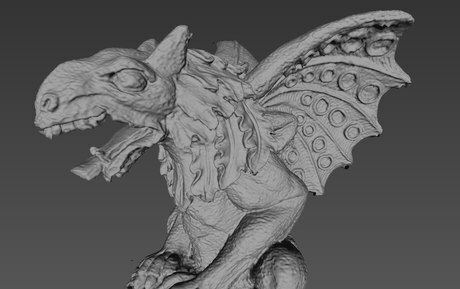 78 partial scans of the gargoyle model globally registered using our Automatic alignment technique and reconstructed using FSSR. A stone memorial consisting of 414 views, reconstructed using MVE and FSSR (image scale L2).